There are so many reasons why patients don’t pay their medical bills. People frequently ask why people can afford to buy a smartphone or go on vacation when they can’t afford to pay their medical bills. However, if someone knows they are planning to buy something pricey or take an expensive vacation, they can set aside money and save up for it. But, unfortunately, medical bills aren’t typically planned expenses. It’s a lot more difficult to pay for a large bill when it comes out of nowhere than it is to save money for something down the line. One of the biggest reasons why people don’t pay their medical bills is simply because they are too expensive for them. And, as obvious as it may seem, the more expensive a patient’s medical bill is, the harder it will be for them to pay it. But, even a medical bill for $500 is enough to complicate the lives of the majority of Americans. A very small percentage of Americans could afford to pay a $500 medical bill right away and in full; most others would need to borrow money, put it on a credit card or apply for a loan to cover the cost of the bill. When a patient unexpectedly gets injured or sick — especially if what they’re suffering from is severe enough — there’s a good chance that they will need to get treatment from more than one doctor or specialist. For example, if a patient gets in a car accident, they could potentially have to pay for a trip to the emergency room in the ambulance, x-rays and possibly medication or even surgery. Then, they’ll also have to pay for physical therapy and rehabilitation so they can get back to work to pay for all of those medical bills. Having not one but multiple expensive and unanticipated medical bills to pay makes matters infinitely more difficult for patients. Each and every patient you see has their own full life, which may include owning a home, paying for student loans, owning a vehicle and even previous medical debt. Additionally, the average household in the United States has just over $16,000 in credit card debt, and they owe almost $1,300 in interest alone per year. All that debt doesn’t come cheap, and it leaves very little room in many people’s budgets for sudden medical bills. And, when you consider the fact that the overwhelming majority of Americans are living paycheck to paycheck, it’s not difficult to understand how a surprise medical bill could easily tip the scales. A non-profit, healthcare advocacy group, The Access Project, estimates that approximately 80 percent of all medical bills have at least one error. 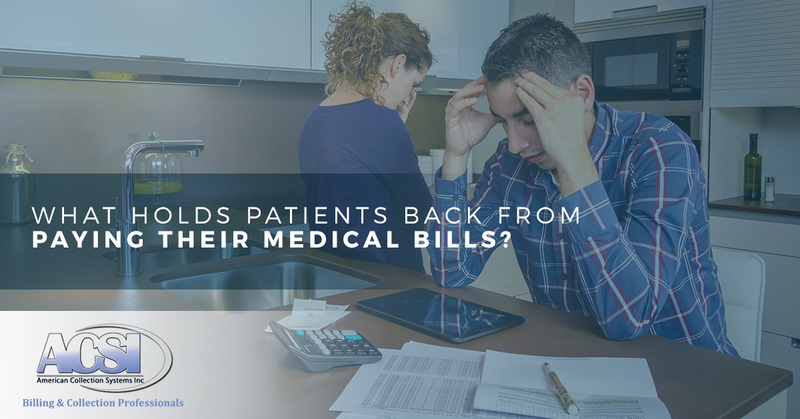 There’s a strong possibility that your patients aren’t paying their bills because they don’t understand their medical bills and don’t know how to tell if they are accurate or not. If they think there might be an error, but they don’t know how to address it, they may simply put off paying their bill. It may be surprising, but this is actually an incredibly common reason why a lot of people don’t pay. 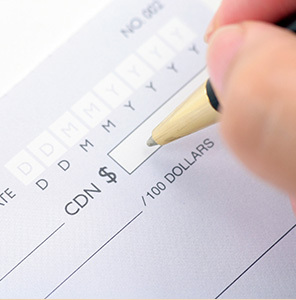 How can this information help to improve your payment recovery rates? Many practices and hospitals operate under the assumption that patients aren’t paying because they don’t want to, and they aren’t willing to work with their patients to make it easier to pay. However, it’s in your best interest to make it as easy as possible for your patients to pay, because most — if not all — of your patients really do want to cover what they owe. And, understanding what makes it difficult for your patients to pay will help you develop programs and processes to make it easier for your patients to pay their medical bills. Contact the experts at American Collection Systems today! We offer a wide range of services that can address every area of your revenue cycle management process that needs to be improved, from appealing and following up on denied claims to recovering unpaid medical bills and conducting A/R cleanup projects. Experience for yourself why we are Wyoming’s premier collections agency. Contact us today to start working with our billing collections and experts!